Backstreet Boys fans around the world are gearing up for 2019, as the boy band is embarking on their biggest arena tour in 18 years starting in May. 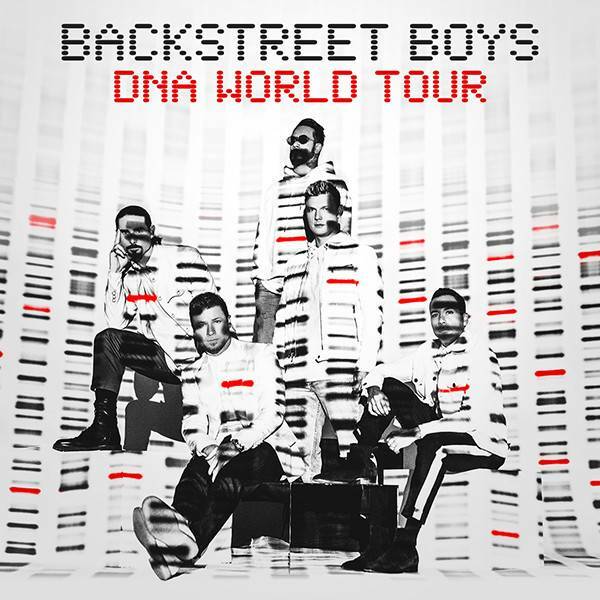 The DNA World Tour, named after the group’s forthcoming 10th album (due Jan. 25), will see the Backstreet Boys hitting 27 countries and 43 North American cities, bringing nostalgia across the globe. Though the Backstreet Boys have been putting on quite the show in Las Vegas with their Larger Than Life residency since March 2017, a trek of this caliber is taking things to an even bigger level. The guys are currently performing a very hit-filled 19-song set in Vegas, but with another studio album on the way, it’ll be interesting to see what hits get replaced by new tunes — or if the Backstreet Boys are going to deliver an even longer set. EventTicketBoss.com is a US based ticketing company since 2018 with a box office located in Los Angeles. Customer satisfaction is our #1 goal.